No matter how hard you try, you just can't make intellectual property law interesting to me. That being said, I'm not sure how these artists think that comic companies are going to stay afloat if they're going to be expected to keep producing material, but not be allowed to keep ownership of the characters. It's not really hip to side with the big, monolithic companies in all of this, but these characters would never have become the icons that they are without the backing of the publishers. (and the deal with artists and writers, as with musicians, is that you have to allow the company to have ownership of your first set of material, but once you make a name for yourself, you renegotiate and try to get yourself more of an ownership interest in your own stuff- or else you go and start your own company). Somehow I doubt that Kirby's family will have much of a case unless he wasn't working under a typical "work for hire" contract. Investors are going to start getting out of the comic business if companies can't maintain ownership of the material that their employees produce. I honestly have no clue how this will shake out with Marvel/ Kirby. The contracts for Siegel were very different for Kirby (if Stan thought to have anyone sign a contract in the first place). I can say DC has done a lot more to cut off the Siegel-like issues, making folks like Jerry Robinson Creator Emeritus status and a check for his creation of the Joker. But at the end of the day, yes... I think all of these lawsuits really just boil down to the families wanting proper royalties, not wiping out the publisher. Good for Kirby. He and Ditko were royally jobbed by Marvel back in the 70s. Too bad it's the heirs and not the artist because I sincerely doubt most of the heirs have made any contribution or are appreciative of Kirby's genius. The fact of the matter is copyright law is pretty clear. There is a whole body on work for hire, non-work for hire and assignment of rights. The problem is that the comics industry was so fundamentally looked down upon and was such a fly by night business that nobody thought it was worth it to hire a lawyer. And most artists did not work with a contract, nothing was ever that formal back in the day. If an artist demanded a contract with residual rights he would have been blacklisted. Let's get real here, no one in management ever thought that characters in funny books would generate million/billion dollar licenses. 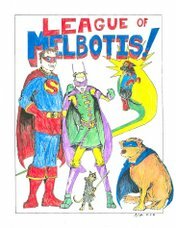 It took a long while for both Marvel and DC to get up to speed on creative rights and the proper clearances. They preyed historically on artists and writers that worked in a niche industry and was dependent on them for employment. It's Marvel's fault for never locking down Kirby's assignments back in the 70s and floated on the principle of work for hire. 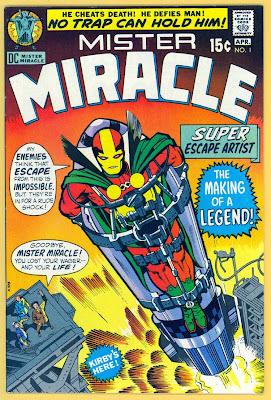 The truth of the matter is that Kirby was as much as a co-creator on many of Marvel's best titles as Stan Lee. 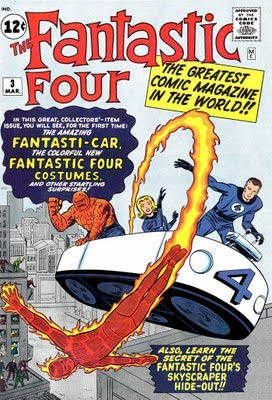 Stan Lee, as editor-in-chief, gave himself sole credit as writer in the books but it's very clear historically that Kirby was seminal in the conceptual art design and storytelling of the titles along with being the artist. I'm sorry but if they wanted avoid liability maybe they should have treated their creative talent better. The recording industry is completely different because it's very clear for a band when they sign with a major label who gets what and how much. 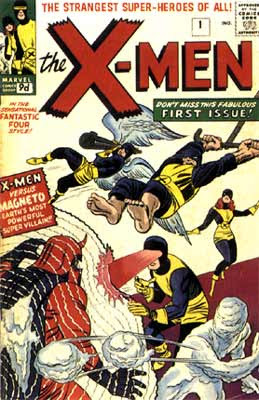 I doubt there were any contracts for the Fantastic Four or the X-Men. So who's fault was that? I would say management's. To argue that the heirs are now holding publishers hostage is not quite true. There are tons of other creative properties clearly assigned and owned. Anyway, the publishers have sophisticated counsel. The Superman lawsuit has been going on for almost five years now. If they didn't think that there was a sitting time bomb on liability on the Marvel side, they need to hire different counsel because it was abundantly clear this was a real possibility. As for contracts- I don't really know what the situation was with artists and writers in comics back then. It sounds like from what you're saying that they didn't have clear cut work for hire contracts. If there were no clear cut contracts, I guess I would have to say that I would actually side with NTT on this because I think that in the absence of such agreements the right to the property should typically belong to the creator (although it boggles my mind to think they didn't even bother to use clear cut contracts- even the shadiest independent labels have traditionally pinned down their aspiring new artists with work for hire contracts for at least their first few albums). If such contracts existed, though, I would side with the company pretty quickly. Access to the public through major distribution and promotion used to be a critical asset for artists, but we're already beginning to lose appreciation that ability now that we have the internet (and technology which makes it more feasible to do smaller scale publishing). For every artist who helped the company turn a profit and make money, there were probably nine others who received financial support but who never gave the company anything but the right to use their ideas at some future point.